Bryant makes good, better and best series of heat pumps and the Bryant Preferred Series Model 226A 16.5 SEER heat pump is the most efficient model in the better, or Preferred, series. It’s an energy-miser that will allow homeowners to reduce their heating and cooling bills substantially when replacing an older heat pump. Solid reliability and good performance features make it a popular choice where high-efficiency and energy savings are important. Francis of Derwood, MD shares this Bryant Preferred Series Model 226A 16.5 SEER heat pump price with us, and like all HVAC prices posts we get, we’re glad to pass it on to you so you can compare brands and costs. “Like a lot of people these days, we’ve decided to stay in our current house while we wait for the housing market to improve. We’d like to move to a newer home without pending roof and window replacement issues, etc., but can’t sell this one. So we’re investing in some of the things it needs and first on the list was a new heat pump. 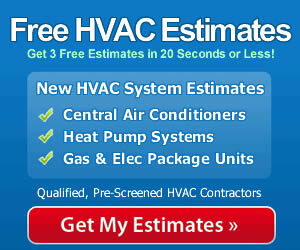 I got heat pump prices from Trane, Lennox and Ruud along with Bryant. A couple of the dealers were pushing super-high efficiency models that cost quite a bit more. If we were totally committed to this house long-term I would have considered it, but the payback time on them was too long, in my opinion. Bryant offered the best product. It’s affordable and still has excellent energy ratings. The dealer has a good reputation, and I know that’s important too. The crew was a little shaggy for my tastes, and one guy had a pierced eyebrow (why?) but they did a good job and tested the unit as well as doing several adjustments to the air handler to coordinate the system. 2-stage reliable scroll compressor for quieter and more balanced heating and cooling. Puron refrigerant is easier on the environment and performs better than R22. DuraGuard protection and coil guard. Add the Evolution control for enhanced diagnostics. Dual-fuel compatible, so it can be installed and coordinated with a compatible gas furnace. Powder-coated exterior resists chips, cracks, corrosion and fading. To get the energy efficiency and durability you should from any heat pump, it has to be properly installed. Incorrect installation and setup can rob a heat pump of SEER and longevity. A qualified contractor with the right skills, tools, gauges and other equipment is best equipped to install the Bryant Preferred Series Model 226A 16.5 SEER heat pump for you. When it’s properly installed you’ll save money every month and get 15-20 years of service from your unit. It definitely pays to have it done right!